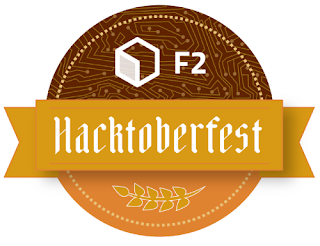 F2 will be participating in Hacktoberfest! What is Hacktoberfest? It is an open source event sponsored by Digital Ocean and Github where if you issue 4 pull requests during the month of October you win a Hacktoberfest shirt. Here are the current list of issues tagged for Hacktoberfest as well as the list of F2 Hacktoberfest issues. Good luck and Happy Hacktober!